Too bad I wasn’t able to watch the X Factor Philippines finale live even if the PAGCOR theatre is just a jeepney ride away from where I’m at as of the moment. The program over T.V. is nonetheless still as exciting as it would have been if I had watched the grand finals live. The show kicked off with an opening medley of dance tracks from Lani Misalucha. It was followed by performances from the three remaining contenders. Daddy’s Home was first to perform with their own rendition of their mentor Gary V.’s original song “Gaya ng Dati.” After the break, Gabriel Maturan belted out Tamyra Gray’s “I Believe.” After another break KZ Tandingan performed with the song “Superstar,” an original from The Carpenters. Vina Morales performed afterwards with a medley of Jennifer Lopez songs. All three grand finalists also sang a second song along with popular singers on a duet. Daddy’s Home was with Nina, KZ sang with Rico J. Puno, and Gab had a duet with Bamboo. Although I wrote a fearless forecast on which act will possibly win based on certain deductions, last night’s performances will definitely become an added weight. In relation to that, the solo showdown is the most important factor which will either cash in the votes or shove them away. So starting with Daddy’s Home’s performance, as always it’s a run for your money. The song choice was perfect. Their voices blended harmoniously. It was an emotional song that the daddy’s were in tears after their performance. As for Gabriel, his song wasn’t perfect. In fact, there were numerous lapses when he was belting out his signature falsetto. But it was still good nonetheless. Lastly, KZ’s version of “Superstar” is refreshing and something new. No one has definitely heard about it before. She delivers her own sound as usual. If winning will be dependent on the solo performances, KZ and Daddy’s Home have an edge. As for the duet with popular artists, I’m sure that viewers won’t count it as much as the solo performances were counted. But nonetheless, it’s worth noting about. Daddy’s Home performed harmoniously with Nina. KZ and Rico J. Puno on the other hand was a perfect pair for music despite the age gap. Lastly, Bamboo actually overshadowed Gab although their song is still an LSS for many. 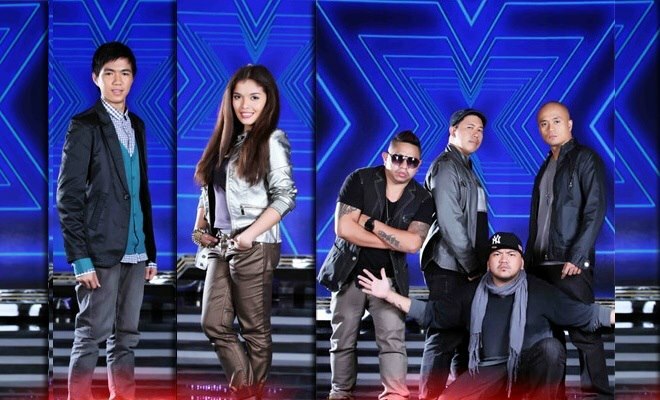 Tonight, we are yet to find out who wins the X Factor Philippines finale, so see you!